All businesses have a certain degree of responsibility to the community where they reside – and to society in general. One particular responsibility of every business, big or small, is to dispose of their waste in the proper manner. But apart from disposing of your business’ waste properly, you can also take certain measures to reduce your waste and recycle. The benefits of reducing the waste your business produces are quite immense – and recycling brings about even more benefits as well. So how can you go about creating a proper business waste management solution for your company? If you make it a point to reduce your business’ waste, you will not only be able to reduce your waste disposal costs – you can also benefit the environment. Your business’ operations can rake in certain benefits, such as a reduction in the cost of raw materials or supplies. By reducing your business’ waste, you can also benefit from less expense when it comes to the delivery, handling, and processing of the materials your business needs. You’ve probably heard of some benefits of recycling, as most of us are already aware of what recycling can do for us. But as a business, recycling gives you an edge – you can garner a better reputation in your community and adhere to your clients’ expectations in regards to the environment. Your business can also become more sustainable in the long term, and you can, once again, save more money as well. 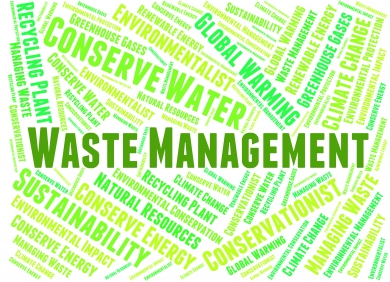 Sustainable waste management is all about the correct waste disposal, the reduction of waste, and recycling. One thing you should know before you develop a proper waste management solution is that there is a so-called ‘waste hierarchy’ – and learning about this hierarchy can help you set the right goals and objectives for waste management. If you want your business to be more waste efficient, you have to start by eliminating waste. Of course, realistically speaking, this is virtually impossible, but you can at least take some measures to avoid producing too much waste. One other step in the ‘waste hierarchy’ is to re-use your business’ waste if you can. There are items or pieces of equipment which you may be able to re-use, and all you have to do is find out how you can re-use them. The next step is to recycle. Make it a point to recycle as much as you can. There are some companies which are more than willing to buy recyclable materials, which can earn you a bit of money as well. Lastly, you have to dispose of your business’ waste in the right way by making use of a proper waste collection service. Find out which service provider offers the right waste collection package and take advantage of it.